The city of San Diego is located in sunny Southern California in close proximity to the Southwest Border (SWB) between the United States and Mexico. Many of the drugs that come up into the United States do so across the SWB from Mexico, which puts San Diego right in the path of major drug distribution traffic. According to the Drug Enforcement Agency's (DEA) 2016 National Drug Threat Assessment almost three-quarters of all methamphetamine that American law enforcement seized during 2015 was in California. Black tar heroin also makes its way up into San Diego from Mexico. In San Diego, local drug abuse prevention efforts are initiated by both federal and community-based agencies. Drug abuse, addiction, and recovery services in the state of California and within the city of San Diego are offered by a range of public and private providers. Drug abuse, addiction, and recovery services in San Diego are managed by the Behavioral Health Services (BHS) Division of the San Diego County Health and Human Services Agency (HHSA). In California, each region designates a County Mental Health Department that oversees local treatment providers. BHS is this agency for residents of San Diego. BHS and San Diego HHSA support Live Well San Diego, which is a local initiative supporting strong and healthy communities. BHS-contracted and county-operated treatment facilities offer intervention, prevention, treatment services, and integrated care for co-occurring mental health and drug abuse concerns for families, children, youth, adults, and older adults. The network of care through BHS contracts with more than 300 community partners, 11 county-operated, and 800 fee-for-service providers in San Diego County. To find a treatment provider, residents can access the interactive online network, or use the service directory and search under the addiction recovery tab for local providers. For immediate help and crisis intervention, individuals should call 911 or use 211 San Diego — a nonprofit organization providing free and confidential access to information and local resources. The Access and Crisis Line is also available 24/7 for residents of San Diego offering instant support and connection to necessary resources. There are many additional local resources for residents of San Diego. •	It's Up to Us San Diego (Up2SD): This site offers a listing of addiction and substance use resources for San Diego County. •	San Diego County Meth Strike Force: This organization provides a hotline for residents of San Diego County to call for help and also offers a host of resources for meth abuse and addiction treatment and recovery support. •	SAY (Social Advocates for Youth) San Diego: This local nonprofit organization promotes the health and well-being of children. They strengthen communities by providing a range of resources, including youth alcohol and drug abuse prevention programs. •	Fee-for-Service Provider Directory: This directory offers current information on local providers broken down by region in San Diego, including contact information, location, languages spoken, demographics treated, potential availability, and types of services provided. •	Behavioral Health Treatment Services Locator: Operated by the Substance Abuse and Mental Health Services Administration (SAMHSA), this interactive web-based tool can be used to find local treatment options by service type and zip code. •	Adult/Older Adult Mental Health Outpatient Clinics Listings: This features information on local providers offering outpatient treatment services to beneficiaries of Medi-Cal or adults without insurance. •	Medication Assisted Treatment Patient Referral Directory: This offers local provider information for MAT services in San Diego. 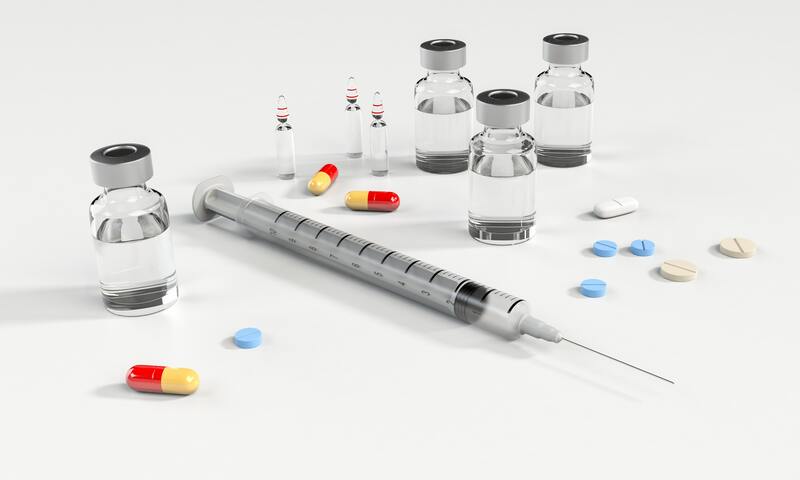 •	San Diego County Prescription Drug Abuse Task Force: This group offers a host of resources for obtaining addiction treatment in San Diego as well as prevention efforts and information geared toward teens. •	Alcoholics Anonymous (AA) San Diego County: This peer and recovery support organization offers local 12-step program meetings. •	San Diego Imperial Counties Region of Narcotics Anonymous (NA): This organization provides local support and 12-step meetings for recovery. 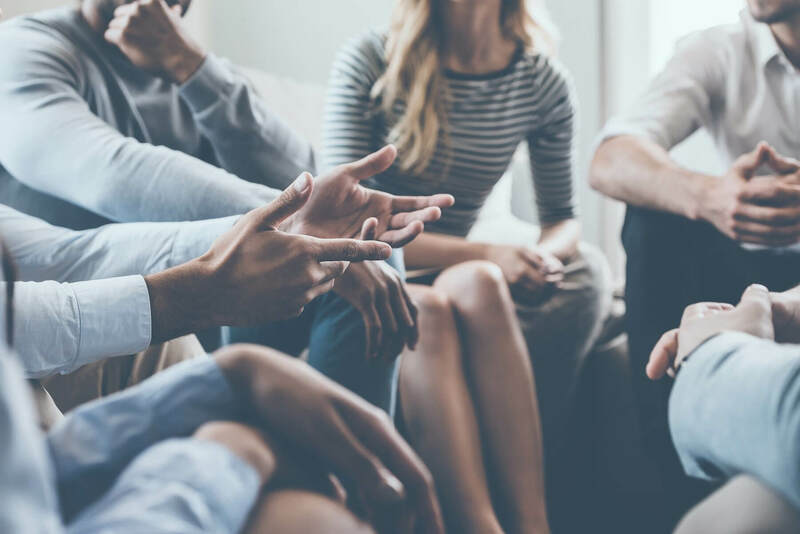 •	SMART (Self Management and Recovery Training) Recovery San Diego: This self-help organization hosts local meetings to sustain abstinence and recovery. Public drug treatment services in San Diego are provided to low-income residents, beneficiaries of Medi-Cal (California's Medicaid program) and those without insurance. These services are often provided for free or at a low cost. Private, or fee-for-service, drug abuse and addiction treatment providers commonly accept insurance and work with residents to determine payment options. Drug abuse treatment services in San Diego include assessments, case management, intervention and crisis services, prevention programs, outpatient and inpatient treatment programs, transitional services and sober living homes, support groups, medication management, integrated treatment for co-occurring disorders, and recovery support services. There were over 15,000 adults admitted into a drug treatment program in San Diego County in 2015. Around 30 percent of these treatment admissions cited heroin or meth as the primary drug of abuse. Both of these powerful, addictive, and illegal drugs are highly prevalent in San Diego. The San Diego Union-Tribune reports that in the past several years, meth abuse and deaths related to the potent stimulant drug have been on the rise in San Diego County. Meth has a strong hold on Southern California as it makes its way up from Mexico and into the city. As opposed to cities on the East Coast, heroin in San Diego is primarily of the black tar variety as this is generally what is produced in Mexico and coming across the SWB. •	Around 20 percent cited alcohol as the primary drug of abuse. •	Close to 15 percent cited marijuana as the primary drug of abuse. •	About 5 percent cited prescription pain medications as the primary drug of abuse. •	Less than 5 percent cited cocaine as the primary drug of abuse. The prescription opioid drug epidemic has taken root in San Diego, and individuals struggling to get prescription painkillers often turn to heroin. Black tar heroin is not as desirable to this demographic as the white powder form, so drug distributors are marketing the designed form called China White, which often contains fentanyl. Fentanyl is a highly potent and extremely dangerous synthetic opioid. The San Diego Drug Enforcement Administration (DEA) laboratory sees more fentanyl than any other DEA lab in the entire United States due to its proximity to the border. Fentanyl and the even more potent derivative carfentanil are driving up opioid overdoses in the region. These synthetic opioids make up a majority of the 253 opioid overdose deaths in San Diego County in 2016. Fentanyl and carfentanil are so dangerous because they are more potent in lower doses than other opioids like heroin and prescription painkillers. Often, users are unaware that these strong drugs are even in the substance they are taking, and this can result in a potentially fatal overdose. Overall, opioid overdose fatality rates are lower for the state of California than nationwide averages; however, in urban San Diego County, overdose death rates are higher than state averages, per the Statewide Opioid Safety (SOS) Workgroup. This group was set up by the California Department of Public Health (CDPH) to combat the opioid abuse crisis by supporting alternative pain management methods; educating both the public and providers on safe prescription, dispensing, storage, and drug disposal practices; reducing heroin use; and enhancing medically assisted treatment options. CURES 2.0 (Controlled Substance Utilization Review and Evaluation System) is California's prescription drug monitoring program that requires providers to report the dispensing of controlled substances to better track these potentially dangerous medications. By reporting, providers can identify problematic prescription drug misuse and diversion. As of July 2016, licensed prescribers in the state of California are required to be registered with the CURES 2.0 system and to use it when prescribing controlled medications such as opioid painkillers or benzodiazepine drugs. This provides oversight on these medications from a prescriber standpoint and from the patient side. Several local agencies in San Diego also participate in the National Prescription Drug Take Back Day, which aims to keep unused medications from being diverted and abused by offering a safe disposal method. There are 44 San Diego sites participating in the 2018 program. These DEA-sponsored days generally occur twice a year. Additionally, there are three permanent prescription drug take-back kiosks attached to Scripps Health on-site pharmacies in San Diego County where residents can safely dispose of unwanted medications during hours of operation. The City of San Diego and the San Diego Police Department have also piloted the Safe Prescription Drug Drop-Off program with several drop-off locations within the city where residents can dispose of prescription medications with no questions asked. These drop-off programs aim to keep commonly abused and potentially addictive medications out of the hands of teenagers and others who may misuse them. The state of California has both a standing order and a Good Samaritan law to reduce the number of fatal overdoses related to opioids. The standing order allows access to naloxone, the opioid overdose-reversal drug, without a prescription, and the Good Samaritan law protects individuals who are reporting an overdose or trying to save a life related to an overdose from criminal drug-related charges. There are additional local prevention measures in San Diego. •	San Diego County Friday Night Live: This program supports youth leadership and focuses on drug use prevention and healthy lifestyle choices among San Diego students. •	Central Region Prevention Coalition (CRPC): This community partnership works to address and reduce teenage drug and alcohol use by promoting positive neighborhood change. •	Marijuana Prevention Initiative San Diego County: This initiative aims to minimize adolescent use of marijuana within the local community. •	Alcohol Policy Panel of San Diego: This group addresses underage drinking and its harmful consequences within San Diego. One of the major ways drug abuse is managed is through prevention measures. San Diego offers residents a wide variety of prevention and educational campaigns to reduce drug abuse. Drug abuse and addiction are managed through treatment and recovery support services, and there are many options for care in and around San Diego. Addiction Recovery. (2018). Network of Care. Resources - Addiction and Substance Use. Up2SD. Take Back Day. Drug Enforcement Administration. 44 San Diego Sites to Participate in National Prescription Drug Take Back Day This Saturday. (October 2018). CBS 8. Scripps Health Launches Drug Take-Back Kiosks. (October 2018). Kusi News. Safe Prescription Drug Drop-Off. (2002-2018). The City of San Diego. Central Region Prevention Coalition. (2018). SAY San Diego.